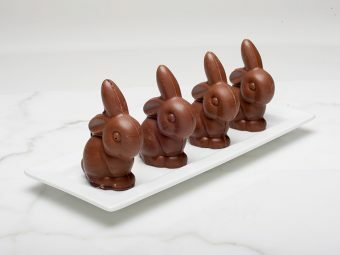 Vintage Easter Chocolate Gift Box contains delectable chocolates hand selected for their contrasting ingredients and wonderful flavor. 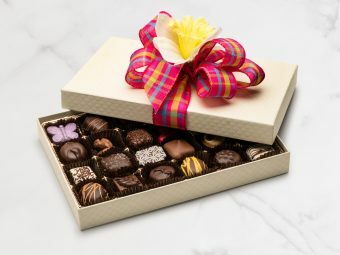 Molded solid milk and dark seashells and fish complete this deluxe assortment. 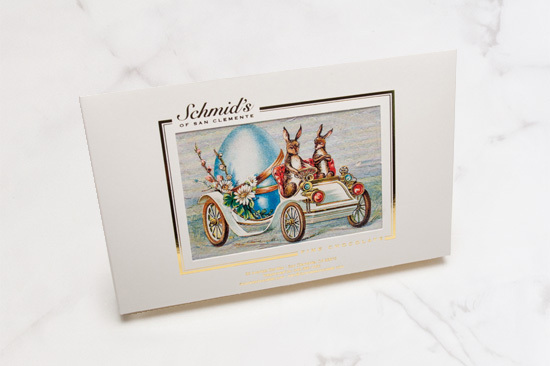 Our gift box is embellished with a wonderful “old-fashioned” Easter picture, making it a perfect Easter gift.